In his latest book, The Data Revolution (2014), Prof Rob Kitchin provides a much needed critical overview of the questions and concerns that are emerging as a consequence of Big Data. In the bookcast below, Rob comments on some of the themes of the book. 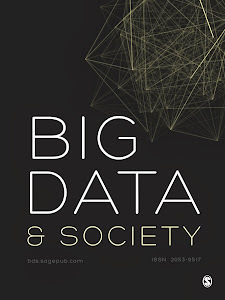 Earlier this year, Rob also published an article with Big Data & Society. The full version of "Big Data, new epistemologies and paradigm shifts" is available here.